Folding doors in the present day are very popular because of its unique features. Folding doors are also known as accordion door, its main purpose is space division which are often use in wide spaces like offices, schools, auditoriums and others. It also has a unique appearance that adds beauty into home decor. The most in demand in the market is the PVC type of folding doors, many practical people choose this because it is low maintenance and low cost, it is more durable and cheaper than steel and wood type. One of the practical and wise people is our client from Forbes Park, Makati City. She opted for a deluxe folding door, she choose the mahogany color which adds beauty to her elegant home. She also chooses folding doors because it is rust and water resistant. Folding doors are made with light materials which are very easy to operate and install. Unlike with wooden type of door, PVC folding door doesn’t need to paint with your desired color which may cost you a lot of money, time and effort. Folding doors offers a wide range of colors that will surely fit to your home interior, you can also choose a different types of folding doors which is regular, deluxe , special deluxe and French door depending on your taste. 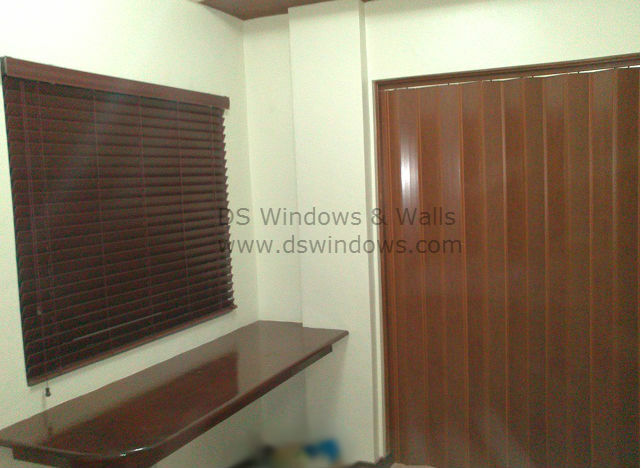 For quotation and measurement you can may email us at inquiry@dswindows.com or call us at (02) 893-1373 / (02) 403-3262 / 0916-311-3909. 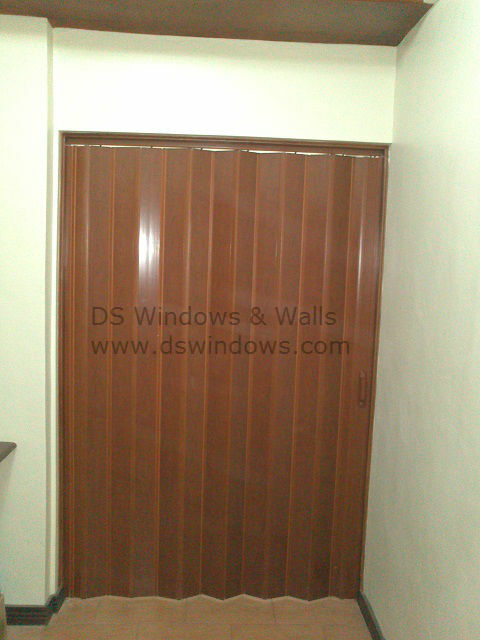 For more details about the other products that we offer you may visit our website at www.dswindows.com. Visit our showroom at 4th Level Waltermart, Makati City, 3rd Level Robinsons Metro East, Pasig City and 2nd Level Pacific Mall, Lucena City.